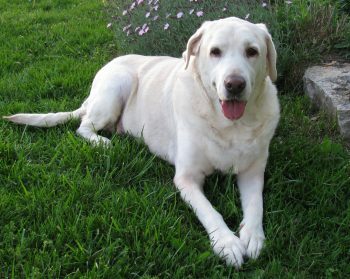 Last month, a week after my labrador, Abby, spent a night at the vet’s office following lipoma removal surgery, she developed a cough. I let it go for a little over a day, as I waited to see if it was just a fluke since she was on antibiotics from her surgery and it was a pretty minor and only occasional cough. Listening to her, it just appeared that she had something in her throat. She hadn’t had any bones recently and she’s a grass eater, so I thought maybe she just had a piece of grass stuck in her throat. Unfortunately, by the next day when my scheduled post surgery check-in call with the vet came, the cough had progressed to being more frequent.